Charter a private flight to Mojave, a city located just outside of the expansive Mojave Desert. Whether flying private to Mojave for business meetings or to get away from civilization at one of the areas many state parks, we can help arrange the right aircraft and flight itinerary that best suit your needs. Los Angeles Private Jets believes in providing private flyers with a one-on-one consultative service experience that exceeds every expectation. We understand that your time, privacy, flight preferences and most of all, safety, are all extremely important, which is why our Mojave Jet Charter representatives are available for you by phone and email 24 hours a day, 7 days a week. When using our private aviation service, you can expect quick response times and an easy, hassle-free booking process. Request a quote or call us to arrange your private flight to Mojave, California. Mojave is a brilliant expanse of untouched desert that would seem frozen in time if not for the local spaceport. Mojave has a lot to offer private luxury jet travelers, from one-of-a-kind cuisine and breathtaking views, to a variety of hotels and resorts for luxury getaways, business trips and special events. There are also several RV campgrounds around the area in Mojave and Bakerfield for the outdoors-type. The following list of our top choices in Mojave was created based on factors such as Los Angeles Private Jets passenger feedback, location, amenities and online reviews. Once you arrive in California via luxury private jet, our Mojave Private Jets agents can also arrange ground transportation to/from the hotel of your choice. 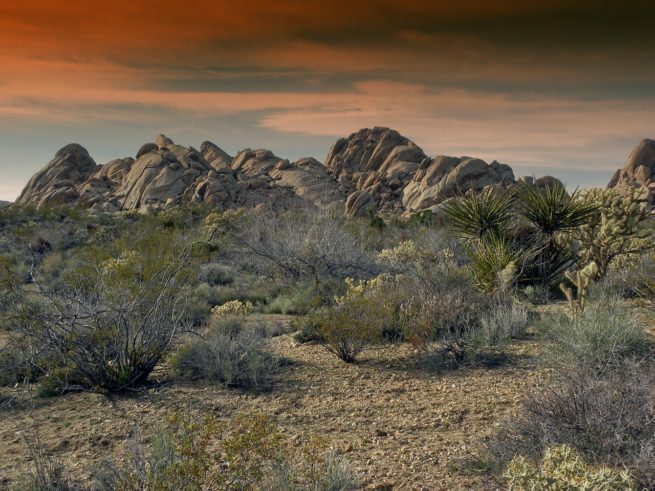 If you’re looking to get away from the city and reaffirm your relationship with nature, then look no further than Mojave! At first glance you might think that there isn’t much here except for an impressive (and absolutely gorgeous) expanse of arid plane, however, the city has a rich aerospace history. Besides (MHV) Mojave Air and Space Port being a general-use public airport, Mojave has three main areas of aviation activity: flight testing, space industry development, and aircraft heavy maintenance and storage. The airport was a major airfield from WWII until 1972, when the field was renamed to the (EKAD) East Kern Airport District. It was again renamed in 2013 by the EKAD board of directors, citing (MHV) Mojave Air and Space Port as the most popular name. Today, the airport is home of aerospace companies and institutions, including Scaled Composites and the civilian National Test Pilot School. The site is also home to the Mojave Transportation Museum, with collections of pioneer-era aircraft, automobiles, bicycles, carriages, motorcycles, trains and engines either on loan or on permanent display. Another far north city within Los Angeles County, Lancaster lies only 8 miles outside of the Kern County line. Our team can book your flight to land at (WJF) General William J. Fox Airfield, a county owned, public airport in Lancaster. If you decide not to fly into (WJF) William J. Fox Airfield, you can take the California State Highway directly from downtown Los Angeles. Lancaster Station is also the last stop of the Metrolink Rail Antelope Valley Line. While it’s a mostly residential area, its nightlife can be quite lively. Spend an evening watching sports at Coaches Sports Bar, or dancing at the Mango Tango Nightclub. Check out more of our recommendations for luxury private jet travelers staying in Mojave, California. Jawbone Open Area is located off State Highway 14, approximately 20 miles north of the intersection of State Highway 14 and 58. The cities of Bakersfield and Palmdale are additional destinations for private flights to/from the Mojave area of Southern California. Clients can fly private into Bakersfield at (BFL) Meadows Field Airport, and private flights to Palmdale can be arranged to land at (PMD) Palmdale Regional Airport. Our team is available to go over all of the details when arranging your jet charter flight, inclduing which airport options are the best depending on your schedule, budget and other factors. Check out more info below about popular destinations around the Mojave area. Bakersfield boasts the title of “Country Music Capital of The West”, and wears it proudly. There are several music venues where world-class acts from every genre play. The bar-music scene is also thriving, with places like On The Rocks, Sandrini’s, Riley’s, and The Padre all hosting acts every week. Other than that there are a few museums that may interest history buffs, and of course there’s a shopping mall for the shopaholics. (BFL) Meadows Field Airport is available to accept private jet charter flights heading to the area. Business is booming in Bakersfield – Kern County is the number one oil producing county in the country, and the fourth highest producer of agriculture as well. Other popular industries here include natural gas and other energy extraction, aerospace, mining, petroleum refining, manufacturing, distribution and food processing. There are also a number of corporate/regional headquarters here, and business flyers can take advantage of the (BFL) Meadows Field to get them closer to meetings and conferences. Palmdale is located in the far north of Los Angeles, and is one of the larger cities in California. Palmdale is separated from the city of Los Angeles by the San Gabriel Mountains. If you don’t fly into a more local airport, you can rent a car in downtown L.A and take California State Highway 14 all the way there. While in Palmdale, you can spend some time checking out the Antelope Valley Indian Museum. Also worth seeing is “The Musical Road”, which when driven down at 55 mph, will play “Lone Ranger” via grooves in the road. Our team can arrange your private jet charter flight to land at (PMD) Palmdale Regional Airport if you need to travel to the area, with ground transportation standing by to take you where you need to go throughout Los Angeles County. Palmdale refers to itself as the “Aerospace Capital of the United States”, having been the site of research, development, final assembly, flight testing and/or servicing/modifications for several aircraft, including the Space Shuttle, B-1 Lancer, X-15, B-2 Spirit, F-117 Nighthawk, F-35 Lightning II, SR-71 Blackbird, Lockheed L-1011 Tristar and many, many more. Although aerospace is the major industry here, special tax breaks such as the Antelope Valley Enterprise Zone and the Palmdale Federal Foreign Trade Zone have allowed companies to move into the area, taking advantage of the tax benefits, as well as its proximity to (PMD) Palmdale Regional Airport. Los Angeles Private Jets utilizes the following airport to fly clients privately to/from Mojave, Bakersfield, Palmdale and neighboring areas of Southern California. Request a Quote or give us a call at 1-888-987-5387 to speak with one of our Mojave Private Jets agents for your next luxury vacation, business trip, or special event.